Combine class and elegance with this astral-inspired Star Theme Poster. 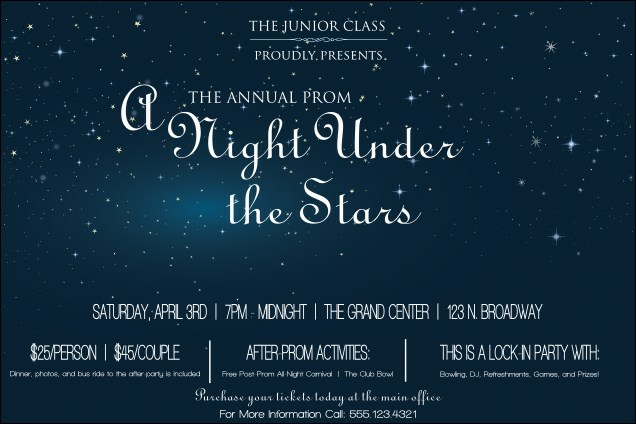 A bright blue and white text stands out on a deep midnight background, with twinkling stars sprinkled about. Invoke a dreamlike vision for your next event with this heavenly designed template. Promote your next party under the stars with the right poster from TicketPrinting.com.